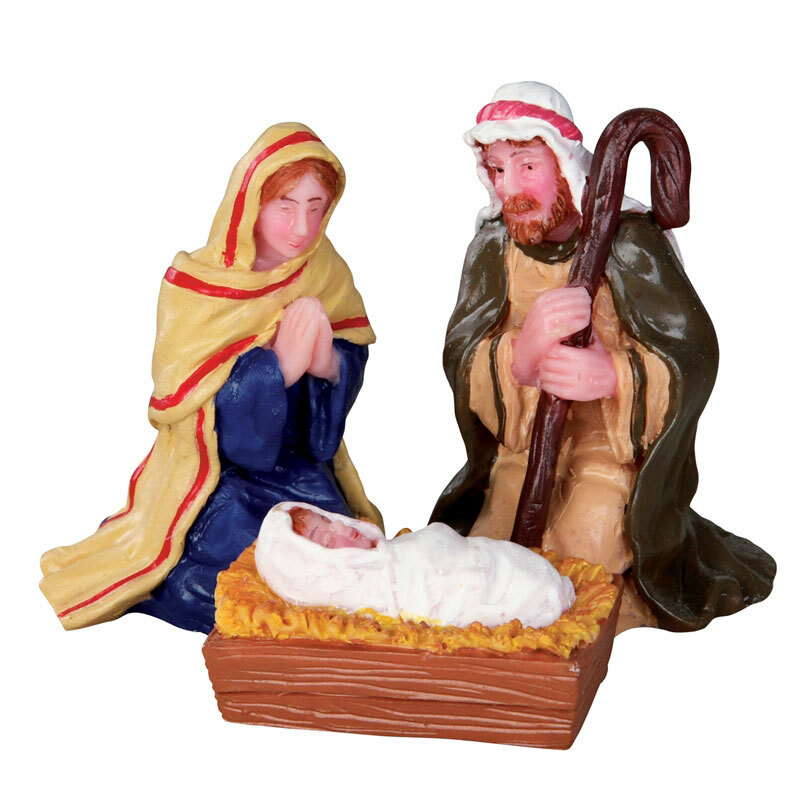 Lemax Nativity Figurines (Set of 3) depicts the most important characters of the Nativity scene, where baby Jesus is adoringly watched over in his manger by Mary and Jospeh. Lemax Nativity set is suitable for placement in and amongst a Lemax village miniatures Christmas display. A popular Lemax Village themed figurine set which joined the Lemax collection in 2013. Nativity set comprises of three individual hand painted polyresin figures to be a centrepiece of your seasonal Lemax Christmas Village display.